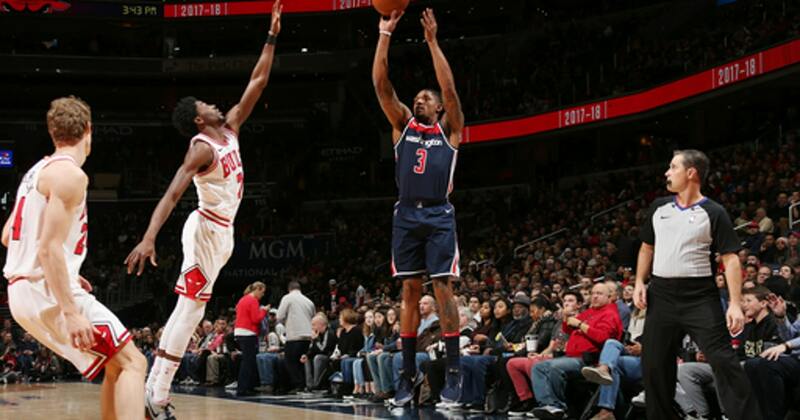 WASHINGTON (AP) Bradley Beal scored 17 of his 39 points in the fourth quarter, leading the Washington Wizards to a 114-110 win over the Chicago Bulls on Sunday. Beal scored 15 straight points for Washington in the fourth as the Wizards rallied from an eight-point deficit early in the period. He also had nine rebounds and tied a career high with nine assists. Nikola Mirotic scored 21 points to lead Chicago, which had won 10 of its previous 12. Kris Dunn had 19 points and 11 assists. David Nwaba’s two free throws with 1:26 to play gave Chicago a 108-107 lead, and Dunn hit a jumper with 54 seconds remaining. John Wall’s three-point play with 29.4 seconds left put the Wizards up 112-110. After Beal missed two free throws, Washington got the rebound and Wall added two free throws with 9.1 seconds to play. Wall had 21 points, nine assists, six rebounds and four blocked shots. The difference was 3-point shooting. Washington was 16 for 36 (44.4 percent) while Chicago was 8 for 35 (22.9 percent). The Bulls missed 17 of 20 3-point attempts in the first half. Bulls: Dunn returned after missing a game with left patella tendinitis. … G Zach LaVine, who has yet to play this season following left knee surgery, is rehabbing for the next few days with G-League Windy City. Coach Fred Hoiberg said LaVine is essentially starting training camp. ”If he does well through this stretch, we’ll all get in a room and put a plan together as far as when we want to see him back on the floor,” Hoiberg said. Wizards: F Mike Scott returned after missing a game following the birth of his daughter. Scott scored 17 points. F Markieff Morris had a season-high 11 rebounds. Washington is now 10-10 against sub-.500 teams. Bulls: Host the Portland Trail Blazers on Monday. Wizards: Host the New York Knicks on Wednesday.